Hi, all! 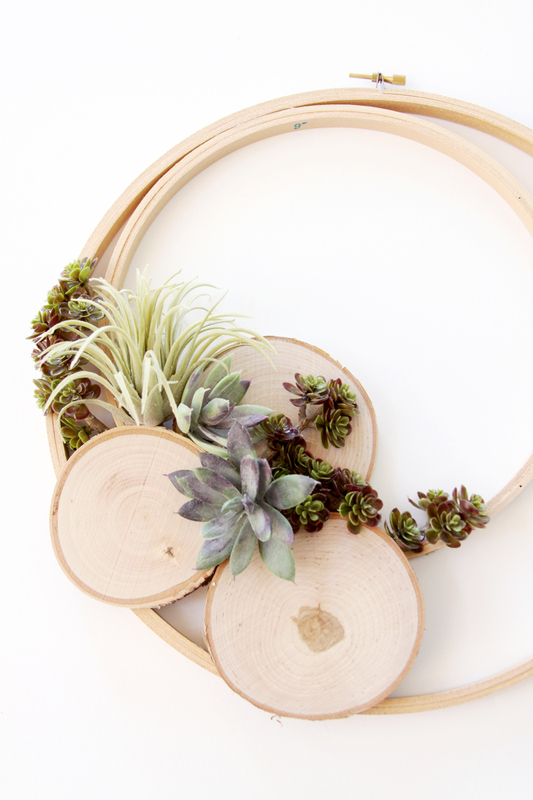 It’s Bev from Flamingo Toes here today with this sweet Wooden Hoop Air Plant Wreath! I will confess that I don’t just have a black thumb – I have an entire black hand. I cannot keep plants alive, even to make the trip home from the nursery. Ok, that might be a bit of an exaggeration, but I am thrilled that there are so many varieties of faux plants and succulents now those looks just like the real thing! 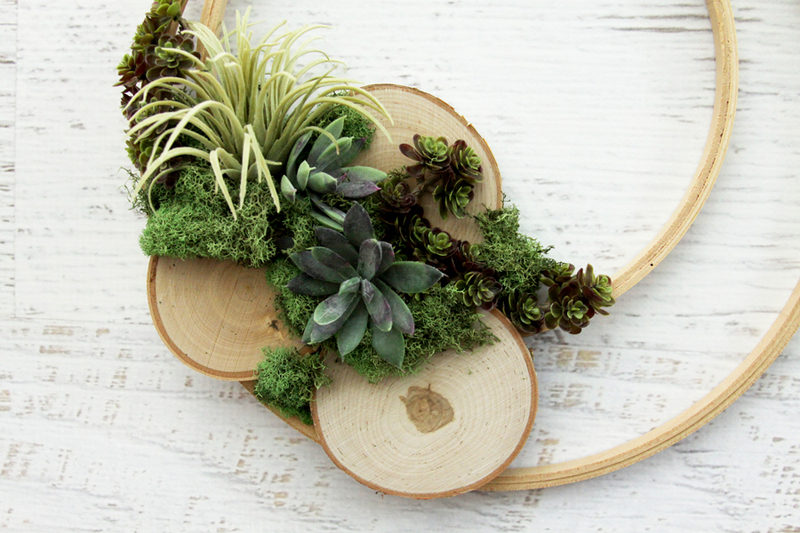 This Air Plant Wreath looks so realistic but there is no need to worry about taking care of the plants, plus it’s super easy to put together! 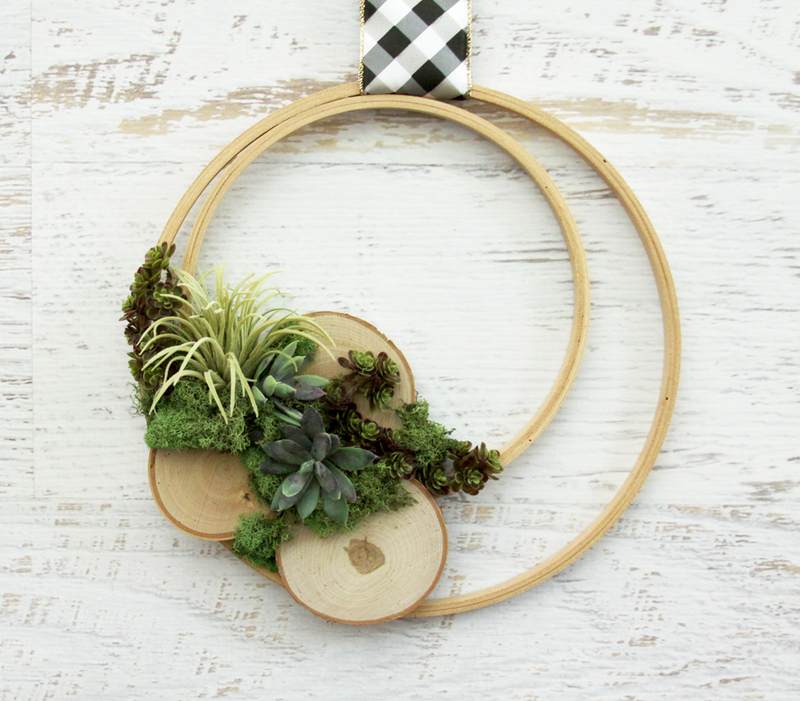 I’m also quite a bit in love with how the black plaid ribbon looks paired with the wood and moss – they are such fun color combos! 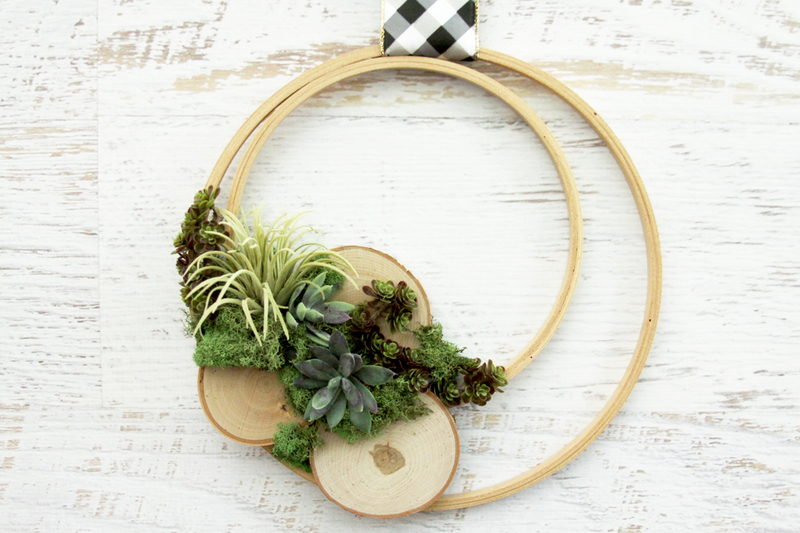 This wreath is a great way to show off a little greenery in your home, just in time for summer. Isn’t it fun!! Here’s the easy tutorial so you can make your own! 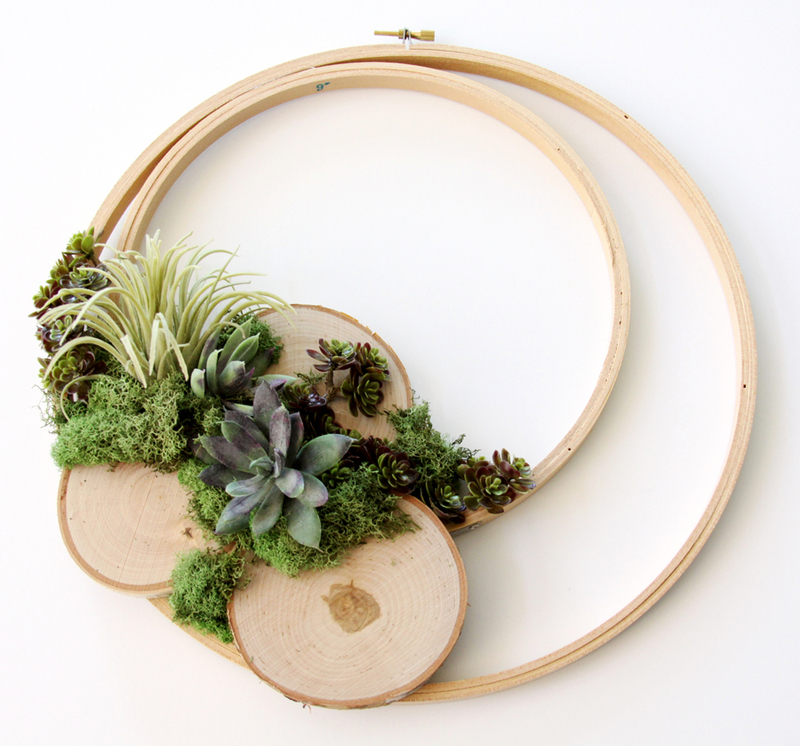 Begin by gluing together your embroidery hoops along the top. 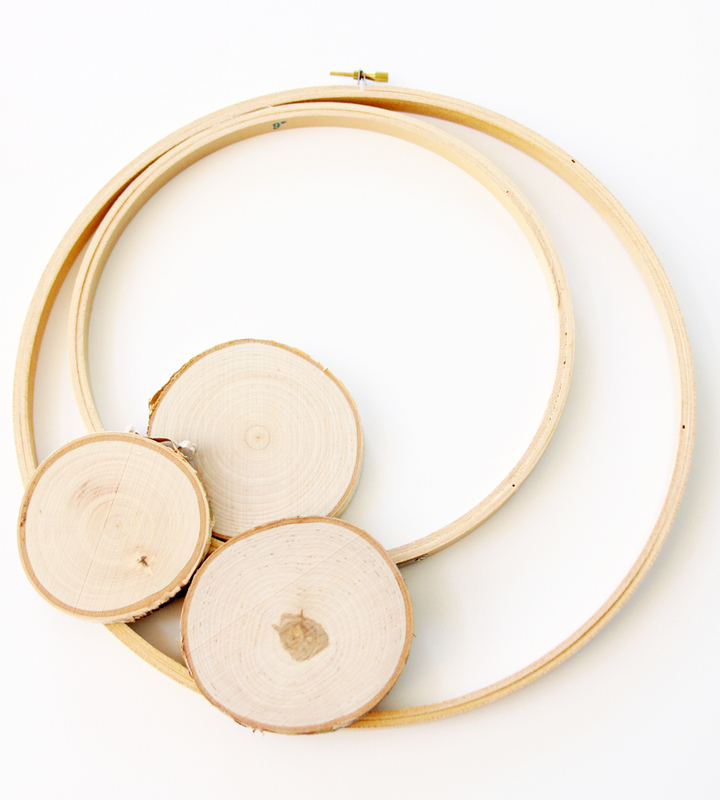 Before you glue, lay out the wood slices to make sure they overlap both of the hoops and everything fits together. Glue the wood slices in place. 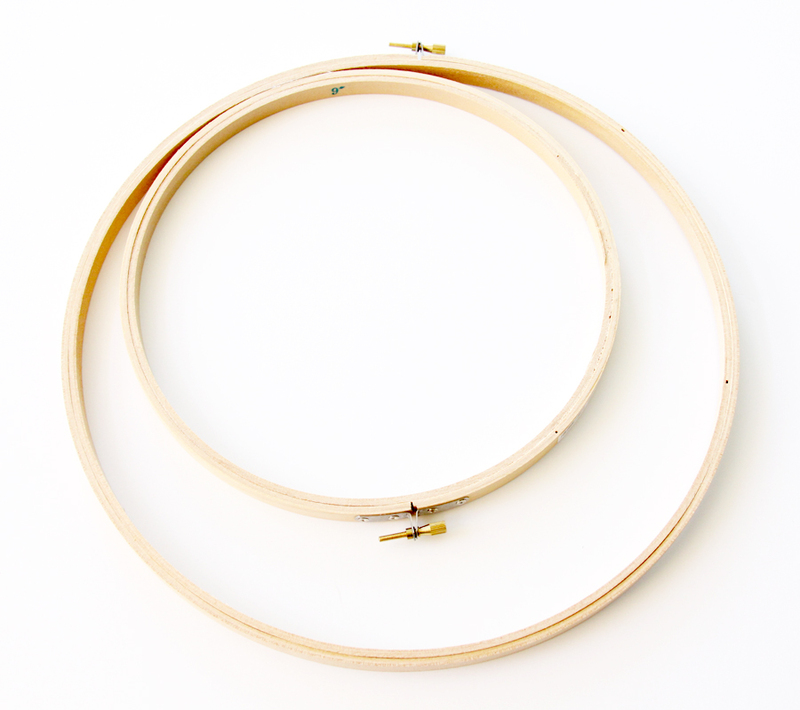 Place two on top of both hoops and glue one just behind them, resting in the smaller hoop. 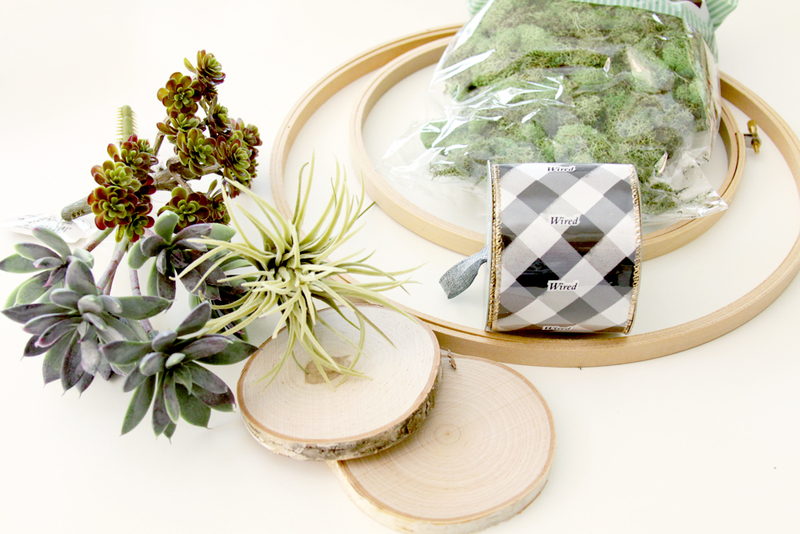 Trim the succulents so you have small pieces to work with. 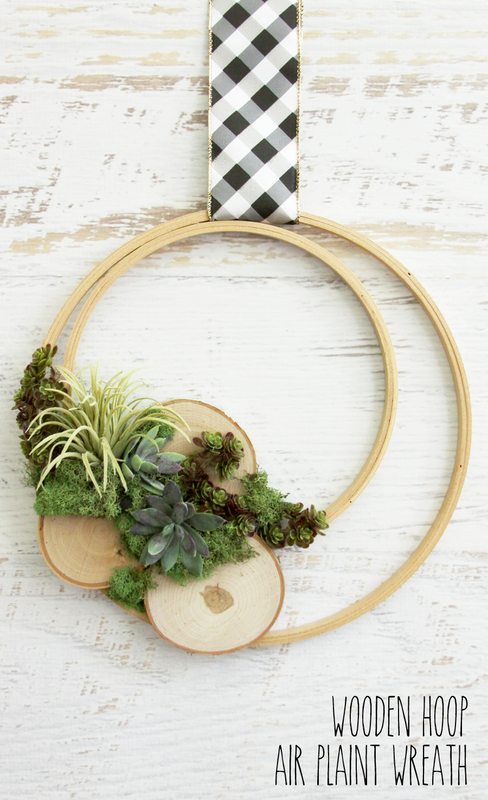 Lay them out along the slices and hoops so they follow the shape of the hoop and blend together well. Glue in place. 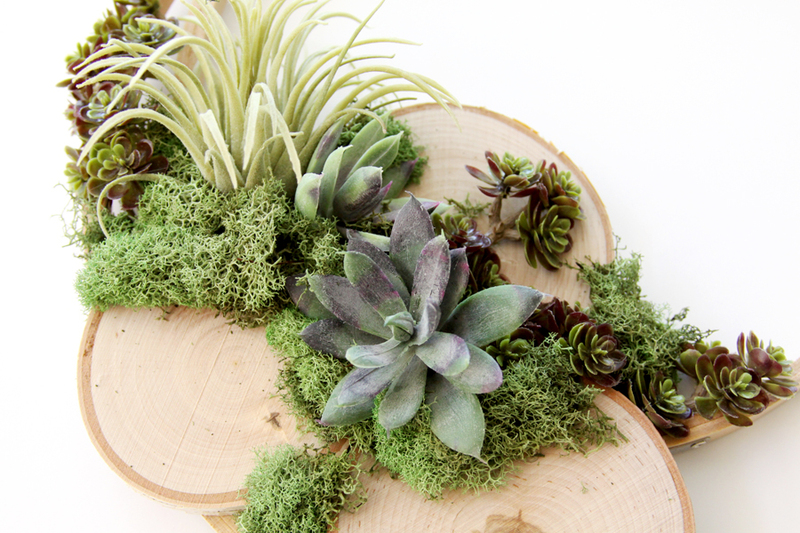 Tuck in some moss along the edges of the wood slices and the hoops to cover up the ends of the succulents. This helps it all look more real as well and gives a nice soft look to the greenery. If you need to tuck the moss in a small spot, a toothpick works great for making sure the moss stays in place. Add your ribbon to the top of the hoops to hang the wreath – depending on how your hoops are glued you can hang it from just one hoop or from both. And that’s it! 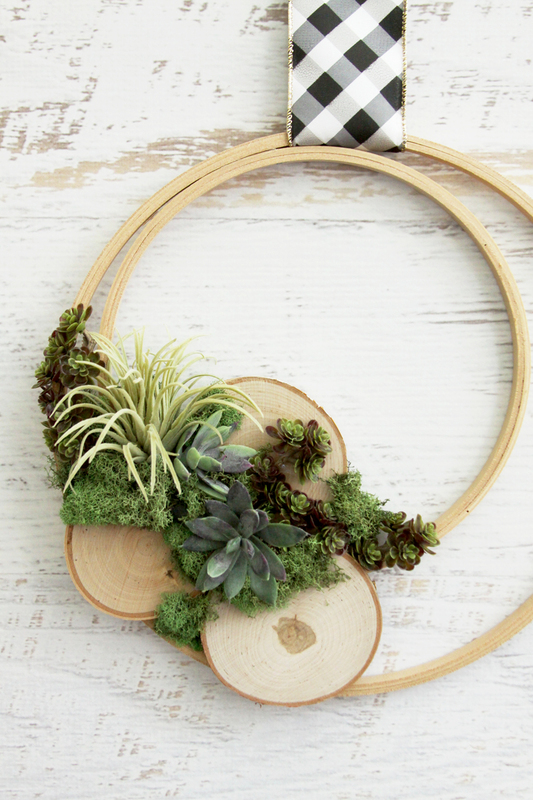 Now you have a cute wreath to show off and make everyone think you have a green thumb – even if you don’t!